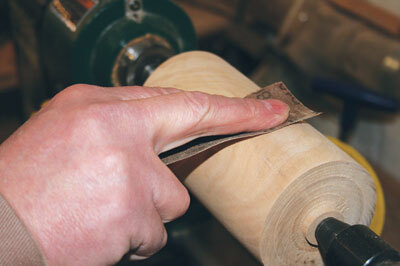 Sanding marks can be a problem if you don't follow a few simple rules. One important rule is to not rush the sanding process. Always ensure to use good quality abrasives. Yes, they may cost more but they will last longer, and the particle size will be more even for each grade. Once you have turned your item you will need to use abrasives to remove any tool marks, and to remove any torn grain marks. I start with the finest grade the item surface will allow; there's no point in using 120 grit if you have a very smooth surface. Start with 240 grit; you can always go back a grit. Always move on to the next grade up; don't skip grades or you will not remove all the sanding marks left by the previous grade. 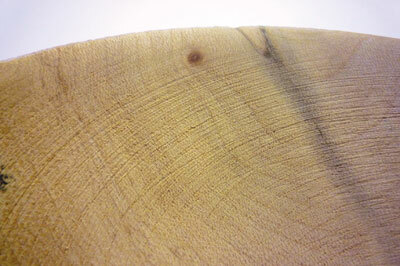 Ring marks on spindles can be a problem. One cause can be pressing the abrasive onto the surface of the spindle too hard, which will cause rings, as will keeping the abrasive in one place all the time on the item instead of keeping the abrasive moving. If the abrasive gets warm then you are pressing too hard. 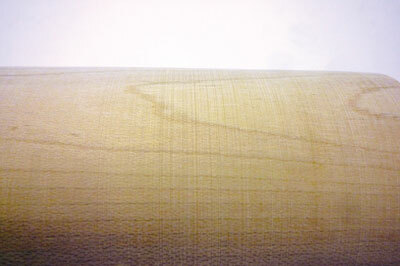 One way to help with sanding is to sand along the grain with the lathe stationary, with a spindle which has its grain running parallel to the lathe bed. 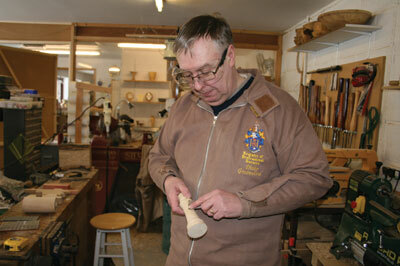 You will be sanding against the grain all the way round, so after each grade sand along the length by hand with the lathe stationary before moving on to the next grade. Again, start by sanding with the lathe running around 500-750rpm then stop the lathe and sand along before moving to the next grade. is important to throw away any disc that is worn. 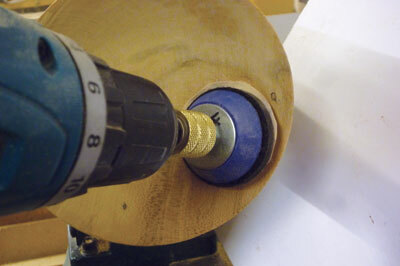 Using a worn out disc will cause the disc and timber to overheat; this will just burnish the work surface. After each grade check the surface to see if all the previous sanding marks have been removed; if not then continue with the same grade until all the marks have been removed. There is no point in moving on to the next grade, as you will have to spend more time sanding out the marks; this will increase the chance of overheating the timber thus causing heat check.